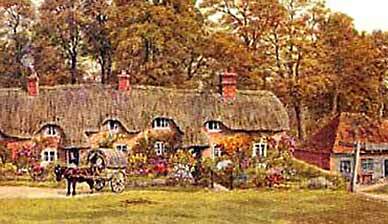 Attractive country cottages, many of them thatched, enhance the New Forest landscape and have attracted artists and photographers since Victorian times. Indeed, for over 100 years, pictures of many of these delightful buildings have been used to grace postcards so eagerly purchased by visitors to the area. 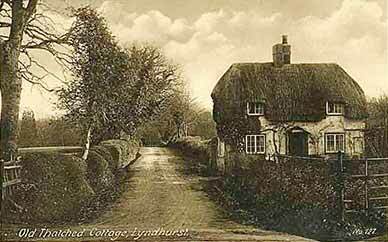 Here are a small number of examples of cottage images from around Lyndhurst and neighbouring Swan Green. 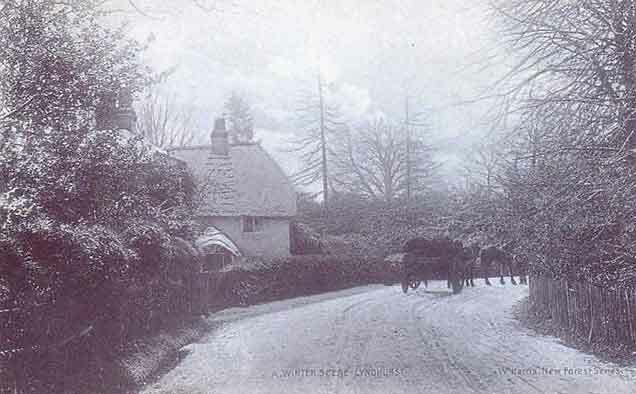 The more prominent cottage shown on the right, above, is believed to be Beechen Cottage, a little to the south of Goose Green, on the Lyndhurst to Brockenhurst road. A modern view is here. 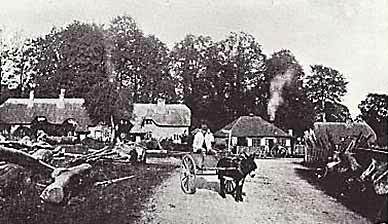 If that's the case, then the more distant cottage on the left, also (I think) shown again in the winter scene further down the page, and now no longer present, is probably the old turnpike gate house close to Foxlease Bridge. 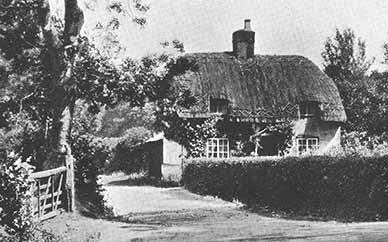 the same cottage as that shown alongside. 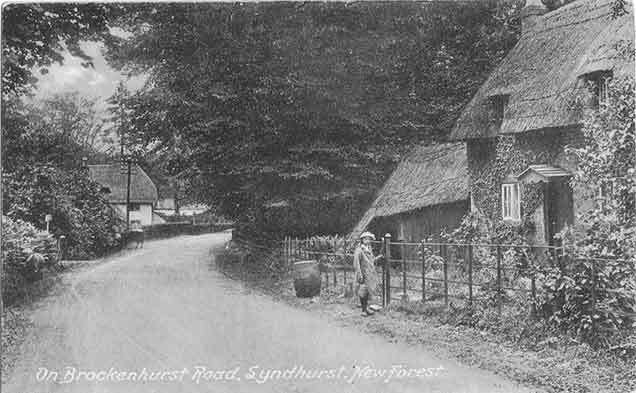 Captioned on the postcard as 'Old thatched cottage, Lyndhurst' - the postcard was in circulation by 1917 so the date of the image is no later that that. And the location of the wayside cottage shown above? Well, thanks to James Sapsard it has been identified as belonging to the Midforest Veterinary Practice, situated opposite the entrance to Foxlease (on the Brockenhurst road). An up-to-date image is shown here, together with the later additions to the right of the original building. 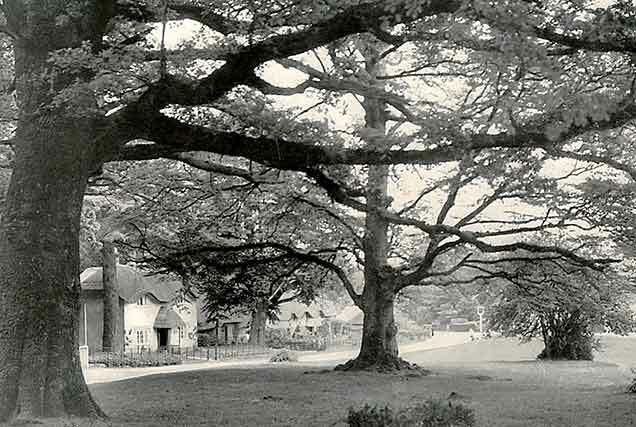 (James remembers delivering the Echo there, back in the 1960's, when it was the home of Mrs. Devonshire). The lane running alongside is Beechen Lane, leading to Hillary Close and on to Pondhead and Park Ground Inclosures. the chimney. Presumably that is it). being the Swan Green smithy).